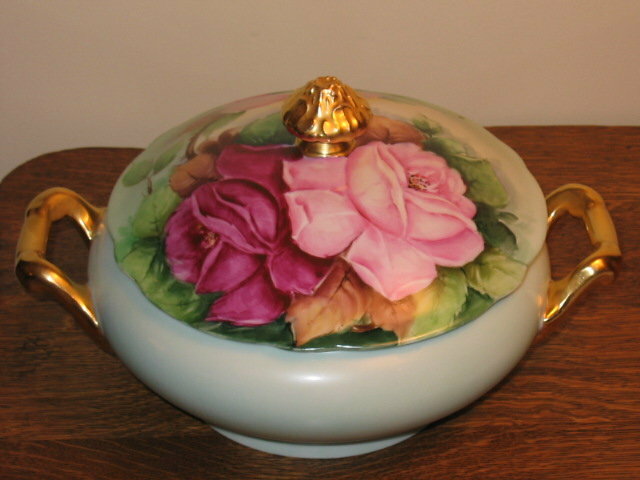 HERE IS A STUNNINGLY BEAUTIFUL HAND PAINTED ARTIST SIGNED COVERED BOWL WITH GORGEOUS PINK AND CRANBERRY ROSES. THE ARTWORK ON THE ROSES OF THIS PIECE IS SUPERB. 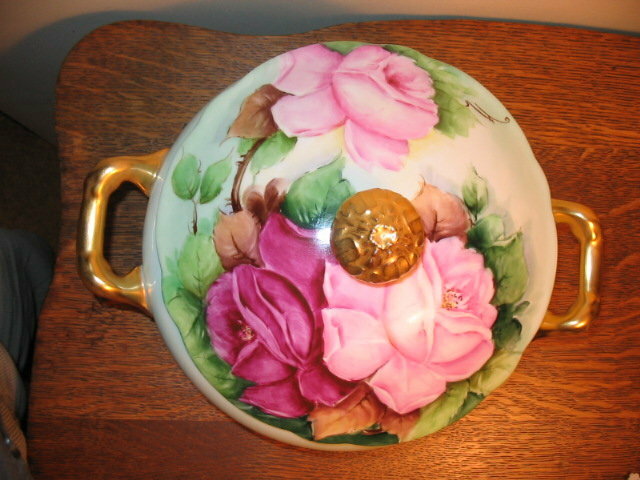 THE LOWER PART OF THE BOWL IS A CREAMY LIGHT GREEN COLOR AND THERE IS HEAVY GOLD GILDING ON THE HANDLES AND FINIAL AS CAN BE SEEN IN THE IMAGES. EXCELLENT CONDITION WITH NO CHIPS CRACKS HAIRLINES OR REPAIRS AND NO GOLD WEAR! 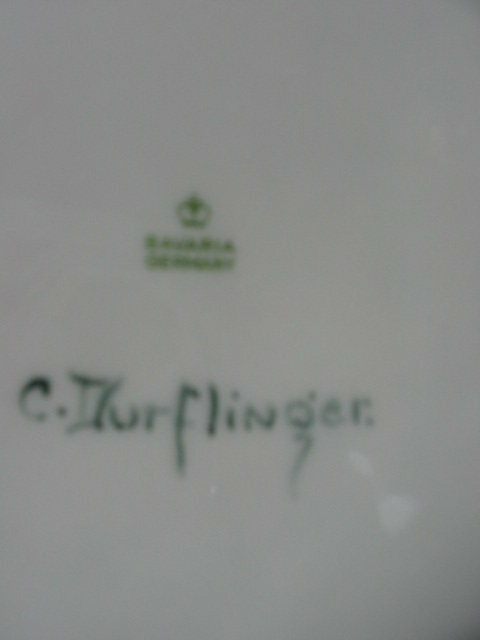 ARTIST IS C. DURFLINGER. 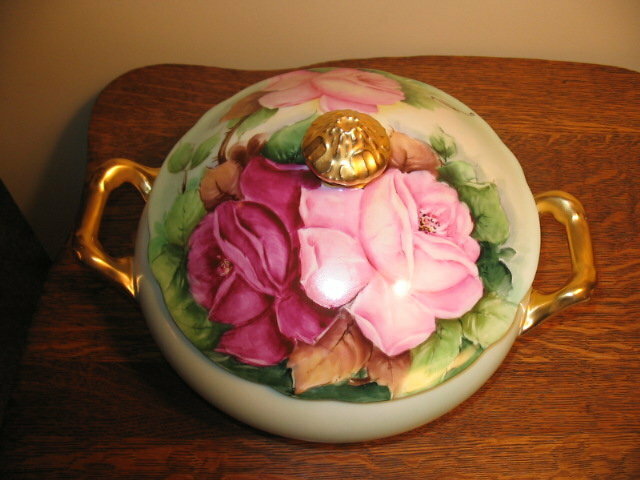 MEASURES 6.5" TO FINIAL AND 10.5" HANDLE TO HANDLE.